I stray at the outset from my announced topic to appeal for a renewed historical scrutiny of Australian distributism as a pre-requisite for its re-birth and regeneration. There is a passage in Tolkien's great epic, The Lord of the Rings, that has a special poignancy for Australian distributists. Tolkien has Galadriel say to Frodo 'We have fought the long defeat'. (1) Might not much the same be said of Australian distributists and distributism? Have not we as distributists also experienced a long defeat? As the philosopher George Santayana reminds us, in order to avoid repeating the past it is necessary first for us to remember it. Is it not impossible reading her words today to feel other than mocked by them? Where today is apparent even the smallest remaining shred of the distributist slant on the part of the Labor leadership which Maisie Ward so confidently identified? Where today is there likewise any remnant of her perceived distributist slant on the part of the Australasian hierarchy or Australia's Catholic leadership? What claim can a currently marginalised and enfeebled distributism credibly make on the attention of a new Labor Leader, Mark Latham, whose values, principles and aspirations are in so many respects uniquely compatible with distributism? Is it not unlikely that a young man today addressing Scullin's query to his parish priest would receive any greater satisfaction? Would not the odds against his receiving satisfaction would inconceivably greater still if his query were to encompass the distributism through which Chesterton and still more his great friend Hilaire Belloc sought to operationalise the teachings of Rerum Novarum? 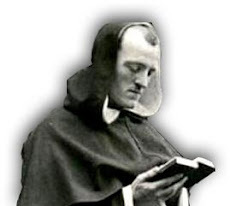 What likelihood is there that a priest so questioned would be able to explain the meaning and substance of distributism, much less refer to specific examples of distributist endeavour such as the noble thirty-year striving of the Antigonish priests Moses Coady and Jimmy Tompkins to give effect to distributism in Atlantic Canada. Would he not in all probability be unaware of the final bringing of distributism in its contemporary, evolved form to triumphant success by the Basque priest Don Jose Maria Arizmendiarrieta, through the great complex of manufacturing, financial, retail, civil engineering and support co-operatives at Mondragon in the Basque region of Spain? How is it that the supremely advantageous positioning of distributism described by Maisie Ward was so rapidly dissipated? How was it also that the unlooked for reprieve for distributism – the opportunity to build distributist entities consequent on the unforeseen explosive growth of credit unions and credit unionism in the nineteen-fifties and nineteen-sixties – has likewise been forfeited? How is it that even today there is no discernible attempt by distributists or the Church whose social teachings the distributist cause to plainly embodies to defend credit unions and credit unionism against the demutualisation that threatens to overtake them, and thereby keep alive some hope, be it ever so tenuous, that a rebirth of distributism might ultimately be achieved? Be these and other questions for a renewed historical scrutiny of Australian distributism as pressing as they may, the answers to them are for another day. (4) The topic on which you have asked me to speak is 'The Past, Present and Future of Distributism'. I apologies in advance to Dale Ahlquist for subjecting him to a repetition of much that was in the address on a similar topic that I delivered at his invitation to the American Chesterton Society at its conference in 2002. Unhappily, there is little new to be said about distributism. Tragically, there is no good news to report. Let me by way of explanation of my commitment to distributism share with you two stories whose relevance will become clear. The first comes from the last days of the former Soviet Union. The then secretary-general of the Communist Party of the Soviet Union, Leonid Breznehev, was on his death bed, and the members of the Central Committee were gathered in the bedroom, waiting for the end. After a while, Breznehev lifted his head from the pillow, and beckoned over Andropov, the head of the NKVD. Andopov then leaned over the bed, and Brezhenev whispered to him 'Comrade, I want you to be my successor', to which Andropov, naturally enough, replied 'Anything you say, Comrade Secretary-General'. At that, Brezhenev again lifted his head from the pillow, cast a dark and suspicious look around the room at the other Central Committee members and whispered to Andropov 'But comrade, will they follow you? ', to which Andropov replied 'Well, Comrade Secretary-General, I can tell you this. If they won't follow me, they will follow you'. This story has come to exemplify for me that politics of coercion – of imposing by force what properly should be secured through informed consent. My second story comes from the very different political culture of Louisiana in the early part of the last century, where the young Huey Long – the future Kingfish of Louisiana politics and central figure in Robert Penn Warren's remarkable novel All the King's Men – was setting out on his first ever day of campaigning for public office. At the beginning of the day, the party boss who was to accompany Huey on the campaign trail said to him 'Now Huey, you've got to remember – you come from North Louisiana, and today we're campaigning in South Louisiana, and we've got a lot of Catholic voters down here'. So Huey then began all his speeches throughout the rest of the day 'Every Sunday morning at 10am, I harness up our old horse to the buggy, and I take my Catholic grandparents round to Mass. And every Sunday morning at 11am, I harness up that old horse to the buggy again, and take my Baptist grandparents round to the chapel'. After hearing this introduction repeatedly throughout the day, the party boss said to Huey on their way home, 'Why, Huey, you've been a-holding out on us. I didn't know you had any Catholic grandparents'. To which Huey replied 'Don't be a darn fool, we didn't even have a horse'. (5) And that story has come to exemplify for me the politics of seduction – the politics of getting people to do as we wish, by telling them what they want to hear, with which, in these opinion polling and focus group driven times, we are all too familiar. It is my strong view that the public interest is best served by the politics neither of coercion nor seduction, but of empowerment – by enabling individual citizens, households and communities to take control of their own affairs to the greatest possible extent, and to the greatest possible extent become masters of their own destinies. It was in search of ways in which such outcomes might be achieved, that I was first introduced to the political philosophy that Hilaire Belloc and his close friend and fellow writer, Chesterton, christened distributism. The basis of distributism is the belief that a just social order can only be achieved through a much more widespread distribution of property. Distributism favours a 'society of owners' where property belongs to the many rather than the few. It correspondingly opposes the concentration of property in the hands either of the rich as under capitalism, or of the state as advocated by some socialists. In particular, ownership of the means of production, distribution and exchange must be widespread. Faced as our forebears a century and more ago found themselves with similar challenges – gripped as so many then found themselves by an intense revulsion and agony of conscience over the persistence of poverty, deprivation and inequality in the presence of wealth and abundance – they were not afraid to question the shibboleths, the sacred cows, of free market ideology and the unfettered play of competitive forces. The issue which divided the reformers most fundamentally was whether, as many on honourable grounds concluded, the suffering of the poor could be relieved more rapidly and with greatest certainty through state socialism – through socialism on the model of the command economy and the statutory corporation – or whether on the contrary change could be effective only if it was from the bottom up. If the state socialist model has proved to be flawed – if its performance has fallen tragically short of its promise – that in no way makes less admirable the selfless dedication to the advancement of the dispossessed which so largely motivated its advocates. It as much honours the motives of the state socialists as it acknowledges their failure to now address ourselves to the new question as to whether as Francis Fukuyama so famously suggests we at the end of history, and neo-liberalist capitalism is the only option available to us. (7) Or is it not the case that there are also older reformist traditions centring on mutualist, associative, communitarian and active citizenship and civil society thought, which state socialism in its day overshadowed? Should not this rich reformist inheritance now be re-visited and re-assessed? It is to just such reformist traditions that distributism squarely belongs and – in its modern, evolved form – can now be seen to give triumphant expression. In arriving at their vision of distributism, Chesterton and Belloc reached back to notable reformers before them. 'It is my experience', wrote Chesterton, 'that the sort of man who does really become a Distributist is exactly the sort of man who has been a Socialist ... Mr Belloc himself had been a Socialist; my brother had been a Socialist; I had been a Socialist'. (8) Distributism was in a very real sense one of several breakaways from the state socialist orthodoxy of the day, comparable to the guild socialist and syndicalist movements that it also in many other key respects closely resembles. What distributism echoed most plainly of all was the Catholic social teachings which Pope Leo XIII – acting in part at the instigation of the great British cardinal, Henry Manning – set out in 1891 in his social doctrine encyclical letter Rerum Novarum. One useful way of thinking about distributism as Chesterton and Belloc originally envisaged it is as their attempt to think through how to give operational effect to the teachings of Rerum Novarum. In addition, distributism was to be gradualist. In the event, the British distributism movement to which Chesterton and Belloc gave rise withered on the vine with the death of Chesterton in 1936 and the coming of the Second World War. Its demise occurred because its adherents were interested far more in talking about it than in giving it effect. However, the distributist idea did not die with Chesterton as many supposed, but rather had emigrated earlier on to Canada. It was alive and well in Nova Scotia, and being carried forward by the Antigonish Movement which two remarkable Catholic priests, Father Jimmy Tompkins and Father Moses Coady established there in the 1920s and 1930s. It remained for a further notable priest, Don José Maria Arizmendiarrieta, to make distributism work, through the great worker co-operatives complex that he established at Mondragon in the Basque region of Spain. The essentials of the Mondragon story are simple. From a standing start in 1956, the Mondragon co-operatives have grown to the point where they are now the largest business group in the Basque region of Spain, the seventh largest business group in Spain and a major competitor in European and global marketplaces. What began forty-five years ago as a handful of workers in a disused factory, using hand tools and sheet to make oil-fired heaters and cookers, has now become a massive conglomerate of some 160 manufacturing, retail, financial, agricultural, civil engineering, service and support co-operatives. All told, the co-operatives employ roughly 3 percent of the Basque region's 1,000,000 workers. While the region has lost 150,000 jobs since 1975, and unemployment even on official figures fluctuates between 15 and 20 per cent, employment in the co-operatives has increased since over the last five years, from 34,397 to 60,000, and further increases are anticipated. Annual sales for the manufacturing co-operatives alone total more than $US 3 billion, and sales for the retail co-operatives are in excess of $US 3.5 billion. The MCC annual report for the year 2000 notes that sales of manufactured goods were up on 1999 by 18 per cent, investment by 37 per cent and assets by 17 per cent. Exports were up on 1999 by a further 22 per cent, to a stunning 49.4 per cent of all output. The MCC is Spain's largest exporter of machine tools, and largest manufacturer of white goods such as refrigerators, stoves, washing machines and dishwashers. It is also the third largest supplier of automotive components in Europe – designated by General Motors in 1992 as 'European Components Supplier of the Year' – and a leading supplier of components for domestic appliances. Total Quality Management awards gained by the manufacturing co-operatives in the year 2000 included the European Foundation for Quality Management's European Quality Prize, and Gold and Silver Q prizes from the Basque Foundation for the Promotion of Quality. MCC construction co-operatives carry out major civil engineering and building projects at home and abroad, including the building of spectator stands and other key facilities for events such as the Barcelona Olympic Games. The steel structure for the new Guggenheim Museum in Bilbao – a building comparable in stature and complexity to the Sydney Opera House – was fabricated by a Mondragon co-operative. Not least, the retail co-operatives – Eroski and Consum – are Spain's fastest-growing retail chain, with some 47 hypermarkets, 796 supermarkets, 569 self-service and franchise stores and a range of other specialist outlets. An Eroski subsidiary, Sofides, operates 3 hypermarkets and a chain of 19 supermarkets in France. The MCC's financial co-operatives – the Caja Laboral Popular credit union (CLP) and the Lagun-Aro social insurance co-operative – are among Spain's larger financial intermediaries. Mondragon has not only grown from its standing start into a major conglomerate, but survived with flying colours the points of inter-generational succession where so many of its counterparts, and co-operatives and mutuals of other kinds, are wound-up or become moribund. * a further shared ownership — albeit less direct — of the secondary support co–operatives in which the primary co–operatives are major stakeholders. Secondly, the primary co-operatives are serviced on a mutualist basis by a unique system of secondary support co-operatives. Arizmendiarrieta became aware at an early stage of the development of the co-operatives of the need for them to be self-sufficient. The support co-operatives were his answer. Capital is now sourced by the primary co-operatives from a support co-operative, the Caja Laboral Popular credit union (CLP), as is – for example – superannuation and other benefits from the Lagun-Aro social insurance co-operative, research and development services from the Ikerlan and Ideko research and development co-operatives and technical skilling from a university of technology co-operative. The structure of the support co-operatives differs from the primary co-operatives, in that, pursuant to mutualist principles, they are owned and governed jointly by their workers and the primary co-operatives that source services from them. Profits distributed to workers in the secondary support co-operatives are linked to those of the primary co-operatives. Neither benefits without the other, and there is constant feedback to the effect that in order for either to succeed both must do so. Related interdependencies, reciprocities and mutual support are evident within the manufacturing, retail and financial sectoral groups. Thirdly, the Mondragon credit union, the CLP, has been much more than simply a source of capital for expanding current co-operatives or creating new ones. In the phase of rapid expansion that preceded the maturing of the co-operatives as signalled by the establishment of the MCC, what was then the Empresarial or Entrepreneurship Division of the CLP offered a uniquely comprehensive and effective service for incubating co-operatives and ensuring their success. Groups seeking to establish co-operatives were initially assigned a mentor or 'godfather' to work with them in the preparation of their application for a loan. Once loans were secured, the mentors remained with the co-operatives in order to assist them in the setting up of their business and enabling them to operate profitably. As a condition of its loan, a new business entered into a Contract of Association with the CLP that specified – among other things – the mutualist structure and processes it should adopt. It was likewise a condition of the contract that specified performance and financial data should be reported to the CLP on a regular basis. Thanks to regular and comprehensive reporting, the CLP could count on receiving early warning where co-operatives experienced difficulties, and provide added specialist support through an Intervention Group within its Empresarial Division. So effective was the Entrepreneurial Division that only a handful of the co-operatives have failed to become going concerns. Consequent on the establishment of the MCC – on the move of the co-operatives from the Mark I to the Mark II stage of their development – the functions of the Empresarial Division have now been re-assigned, with some elements being incorporated within the MCC and others in new management consultancy support co-operatives. Mondragon's on-going expansion is now much less through establishing new co-operatives, and more through strategic acquisitions and alliances. How then can distributism – on however modest an initial scale – be used to address our current problems? In what form can Belloc's 'particular, local and, in its origins small' distributist project now be given effect? How can we realistically set out as Mounier suggests 'to implant in the vital organs, at present diseased, of our decadent civilisation the seeds and the ferment of a new civilisation'? In what way can a beginning – albeit small – be made at the task that Chesterton defines for us as 'nothing more or less than the distribution of the great fortunes and the great estates'? In what way can we begin to apply the lessons of modern, evolved distributism as exemplified by Mondragon? The answer for countries such as the US and Australia may well lie in a re-invention and consequent reinvigoration of credit unionism. Credit unionism and distributism have close affinities with one another. Belloc and Chesterton were outspoken advocates of credit unionism. So too was their Distributist League. Much of the success of the Antigonish Movement stemmed from the establishment of credit unions. As has been seen, a credit union, the CLP has been a major contributor to the growth of the Mondragon co-operatives. The founders of today's credit unions in Australia were mostly adherents either of outright distributism or social Catholicism. Mutualist bodies such as credit unions usually arise as a means of accessing goods or services that would otherwise be unavailable or unaffordable. The Rochdale Pioneers – the twenty-eight unemployed cotton weavers who established their co-operative store in Toad Lane in Manchester in 1844 and thereby gave birth to the modern worldwide retail co-operative movement – were responding to a pressing need for affordable access to household requisites such as food and fuel. Friendly societies were initially a response to the need for burial benefits, and, later, for unemployment benefits, sickness benefits and medical care. Access to affordable life assurance was offered by mutual assurance societies, as was access to affordable home loans by building societies. Processing and marketing co-operatives met a pressing need on the part of farmers to capture value added to their produce beyond the farm gate. Trade unions were originally mutualist bodies or co-operatives, formed by employees in response to the need to obtain better working conditions and a just price for their labour that De Rerum Novarum so rightly acknowledged and celebrated. Credit unions in their turn were at first a response to the need for affordable carry-on loans for smallholder farmers, and later for affordable consumer finance. For example, when my wife and I bought our first home in 1958, our housing loan from our bank was for a thirty-year period at a fixed interest rate of 3 1/2 per cent. However, when households like ours came to put sea-grass matting on the floor as was fashionable at the time, a simple refrigerator in the kitchen and a single-tub washing machine in the laundry, we were referred by our banks to hire purchase companies for short term loans at interest rates in effective terms of up to 60 and 70 per cent. As a result, families in the outer suburban Catholic parishes of Australia's major cities began to gather round card tables after Mass, pool such savings as they had and queue to borrow from the pool at interest rates that were affordable for them. In this way, parish credit unions were born. A little later, neighbouring non-Catholic housholds looked over the church fences, saw what a good thing the Catholics had going for them and secured admission, thereby causing the parish credit unions to become community credit unions. Later again, some trade unions recognised that workplaces were every bit as much communities as were suburbs, and industrial credit unions were established. So obviously right was the credit union idea, and so urgent the need for affordable consumer loans, that Australian credit unions now have more than 3 million members – one in every six of our population – and assets under management of more than $A 23 billion. However, for all their great success, the credit unions have so far failed to re-invent themselves in the face of changing needs and circumstances. The interest rates that my younger children, who are marrying today, will pay to a credit union for loans will be no less than is freely available from banks and a wide range of other conventional financial intermediaries, and the rate they receive for deposits will be no greater. What is needed now is far less affordable consumer loans, than capital for local and regional economic development and the creation of jobs, such as has been harnessed in Mondragon by the CLP through its slogan 'savings or suitcases'. Accordingly, Australia's credit unions are in summary what is known technically as 'frozen' mutuals or co-operatives – mutuals that are responding to past rather than present need, and thereby forfeiting, if not the nominal adherence then the active involvement and support of their members, that should be ranked among their major assets. They have thereby become – among other things – the more vulnerable to the predatory demutualisers who in recent years have plundered the assets of most of Australia's mutualist permanent building societies and mutual assurance societies. There is no reason why Australian credit unions should not re-task themselves so as to expand their lending, from its present focus on personal and housing loans, to bringing about economic growth for the local and regional communities of whose capital they are custodians. Alternatively, new credit unions could be created for the purpose. In either case, risk could be minimised by syndicating larger loans between numbers of credit unions. Such risk assessment skills as were unaffordable for local and regional credit unions on an in-house basis could be provided collaboratively on their behalf, by peak bodies such as, in the case of Australia, the Credit Union Services Corporation of Australia Limited (CUSCAL). Here again, the Mondragon experience should be an incentive for enacting legislation empowering credit unions to make loans for non-traditional purposes, without sacrifice of their capacity to comply with stringent prudential requirements. Credit unions and other mutualist financial intermediaries could thereby transcend their role as lenders, and assume additional business incubator functions along the lines of the Empresarial Division of Mondragon's CLP, with preference to sole proprietor or small firms and those owned by their employees, either through worker co-operatives or employee share ownership plans (ESOPs). To the extent that it might be difficult in the US or Australia for purely local or regional credit unions to fund incubator services of the scale and sophistication of the Empresarial Division from their own resources, that function could also be assumed on their behalf by peak bodies, such again as CUSCAL. The task is impossible unless there is still left in the mass of men a sufficient desire for economic independence to urge them towards its attainment. You can give political independence by a stroke of a pen, you can declare slaves to be free or give the vote to men who hitherto have had no vote; but you cannot give property to men or families as a permanent possession unless they desire economic freedom sufficiently to undertake its burdens. Is there within the current generation of members of the co-operatives as fierce a desire for economic independence as motivated Arizmendiarrieta and his associates? And, if so, is there also among external well-wishers of the co-operatives a sufficiently fierce will to work with them in seeing that economic freedom is not only defended and extended within them but made accessible much more widely to those elsewhere in the world who might choose to avail themselves of it? At a time when the advocates of the statutory corporation school of state socialism, and their 'greed is good' counterparts in the corporate sphere, have simultaneously, permanently and irrevocably discredited themselves, the way is open for distributism to assume the major role to which its merits so plainly entitle it. What has been identified mistakenly by some as marking an end to history, instead marks potentially the birth of new opportunities and applications for distributism. The events of recent years, and the problems that the world now finds confronting it, have opened up for us, as distributists, a window of opportunity such as we have not previously experienced – and that, if it is not grasped now, may never be seen again. 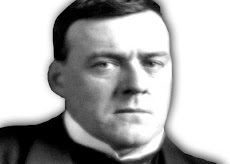 Were Belloc, Chesterton, Tompkins, Coady and Arizmendiarrieta – all in their respective days giants of distributism – alive today, the shape that evolved distributism has assumed at Mondragon might surprise them, but it is unlikely that they would be disappointed. (1) Tolkien J.R.R. 1954. The Fellowship of the Ring. London, George Allen & Unwin, p. 372. (3) Malony J. 1991. The Worker Question: A New Historical Perspective on Rerum Novarum, North Blackburn, Vic., Harper Collins. P. 130. (4) But, by way of background-reading, see in particular Duncan B. 2001, Crusade or Conspiracy: Catholics and the Anti-Communist Struggle in Australia, Sydney, University of New South Wales Press. (5) Williams T.H. 1970, Huey Long, New York, Alfred A. Knopf, p. 3. (6) Quoted in Healey D. 1989. The Time of My Life. London, Michael Joseph, p. 472. (7) See Fukuyama F. 1992, The End of History and the Last Man, London, Hamish Hamilton. (8) Chesterton G.K. 1935, 'Conversion and Conquest' in G.K's Weekly, Vol. XXII, No. 566, 28 November, 1935, pp. 143-144. (9) Quinn D. 1995, 'The Historical Foundations of Modern Distributism' in The Chesterton Review Vol. XXI, No. 4, November, 1955, p. 464. 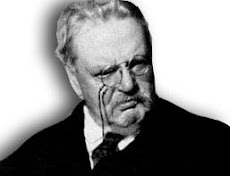 (10) Chesterton G.K. 1908, 'Why I Am Not a Socialist' in The New Age, 4 January, 1908, pp. 189-190. (11) Chesterton G.K. 1910, What's Wrong with the World in Marlin G., Rabatin R.P. and Swan J.L. (eds) The Collected Works of G.K. Chesterton, Vol. IV, San Francisco, Ignatius Press, p. 213. (12) Chesterton G.K. 1926, The Outline of Sanity, London, Methuen & Co, pp. 108, 151, 148. (13) Chesterton 1910, p. 224. (14) Belloc H. 1936, An Essay on the Restoration of Property, London, The Distributist League, p. 40. (15) Mounier E. 1938, A Personalist Manifesto, London, Longman, Green & Co, p. 281. (16) Coady M.M. 1939, Masters of Their Own Destiny: The Story of the Antigonish Movement of Adult Education Through Economic Co-operation, Paperback Edition 1980, Antigonish, Nova Scotia, Formac Publishing Company Ltd., p. 68. (17) For extended accounts of the Antigonish Movement, see Mathews R. 1999, Jobs of Our Own: Building a Stakeholder Society, Sydney, Pluto Press. Chapters 7 and 8, and Welton M.R. 2001, Little Mosie from Margaree: A Biography of Moses Michael Coady, Toronto, Thompson Educational Publishing Inc.
(18) For a useful account of the overseas subsidiaries and the issues they raise for the co-operatives, see Clamp C.A. 1999, The Internationalisation of Mondragon, Paper presented at the International Co-operative Alliance Congress, Quebec City, Canada, 30 August – 6 September, 1999. (19) Mongelos J. 1994, as quoted in Parry J.N. 'Mondragon Pushed to the Peak of Success', European, 28/10/94, p. 12. (20) For a concise account of the principal-agent relationship, see Mathews 1999, pp 10-12, and for a more detailed explanation Donahue J.D. 1989, The Privatisation Decision: Public Ends, Private Means, New York, Basic Books. (21) For an extended discussion of credit unions and regional economic development, see Mathews R. 2001'Mutuals in Regional Economic Development: Mondragon and Desjardins' in Birchall J. (ed) 2001, The New Mutualism in Public Policy, London, Routledge, pp 155-170. (22) Belloc H. 1937, The Crisis of Our Civilisation, London, Cassell & Co, p. 205. Italics as in the original. The Hon. Race Mathews, PhD (Monash), MA (Melb. ), BEd, is a Senior Research Fellow in the Faulty of Business and Economics at Monash University and an Adjunct Professor in the Faculty of Business and Law at Deakin University. He was previously a state MP and minister, a federal MP, a municipal councillor, chief of staff to Gough Whitlam as Leader of the Opposition in the Australian Parliament and a board member and chairman of the Waverley credit union. His Australia's First Fabians: Middle-Class Radicals, Labour Activists and the Early Labour Movement was published in 1994 by Cambridge University Press and his Jobs of Our Own: Building a Stakeholder Society by Pluto Press (Australia) and Comerford and Miller (UK) in 1999. Paper presented by the Hon. Dr. Race Mathews, at the Australian Chesterton Society Conference, Melbourne, 8 May, 2004.